The sheet is limited to 1000 numbered copies. 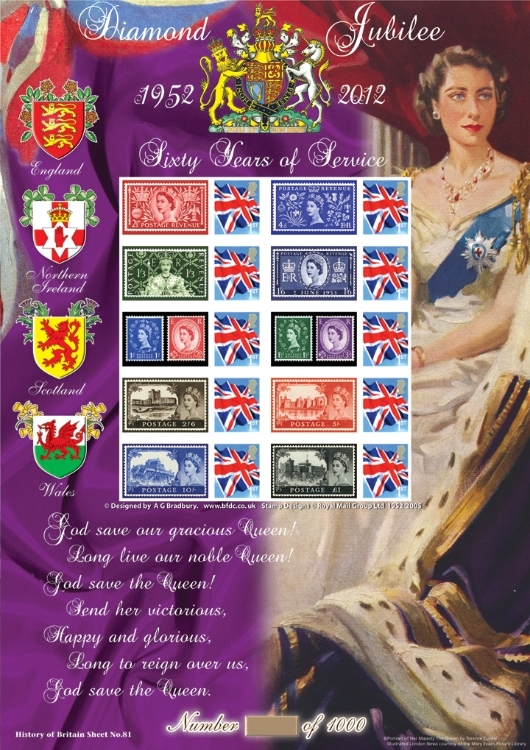 This stunning Diamond Jubilee stamp sheet has been approved by Her Majesty the Queen. In the United Kingdom, national and regional events to mark the Diamond Jubilee are being co-ordinated by the Queen-in-Council and her Royal Household at Buckingham Palace. 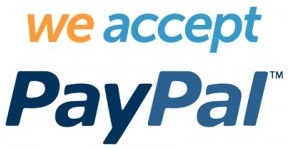 On 5 January 2010, the Lord President of the Council and Business Secretary Lord Mandelson announced that an extra bank holiday would take place on Tuesday, 5 June 2012. By moving the Spring Bank Holiday (the last Monday in May) to 4 June, this will result in a four-day holiday in honour of the Diamond Jubilee, coinciding with the Queen's Official Birthday in the United Kingdom, also on 4 June. A large event will be staged in London on that weekend, which is to include a diamond jubilee concert and a maritime parade of boats and events along the River Thames on 3 June, in which 1,000 boats are expected to take part (the largest flotilla to be seen on the river in 350 years) and some one million people are expected to watch from the banks. Street parties are also to take place across the country. Special community lottery grants, called The Jubilee People's Millions, are being offered by the Big Lottery Fund and ITV. There was a contest held by the BBC children's programme Blue Peter to design the official emblem for the Diamond Jubilee; the winning design, announced in February 2011, was created by ten-year-old Katherine Dewar. To mark the jubilee, the Queen will bestow Royal Borough status on Greenwich, in south-east London. In addition, a competition will grant in 2012 city status to one town and either a lord mayoralty or lord provostship to one city. The Olympic park in East London, created for the 2012 London Olympics, will be named the Queen Elizabeth Olympic Park following the Olympics. In March 2011, the Royal Commonwealth Society launched the Jubilee Time Capsule to mark the jubilee. In the United Kingdom, 60 Jubilee woodlands are planned to be established by the Woodland Trust in 2011-12, one of which is to be 500 acres and the remainder 60 acres each.